Dance Dance Revolution! – Whole Germany is practicing the latest enlightening Mega-man moves. 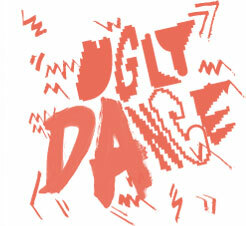 Ugly Dance fan Robert Buth shared these inspirational moves – The No Bones Dance. Thanks! Are you seduced yet? – Sensual seduction by the Golden Girls from France. Two days left till application deadline. Hurry up for fame & glory! Gabba might help you to become world champion.